Costs, volume and profits – an example from the taxi sector. Back in the late 1980’s and early 1990’s when I was young enough to be frequenting pubs/clubs around Dublin city centre, one of the biggest problems was getting a taxi home. At that time, the number of taxi’s was regulated, with (if my memory serves me right) about 1,200 taxis for a city of about a million people. The effect of this was a market for taxi licences. 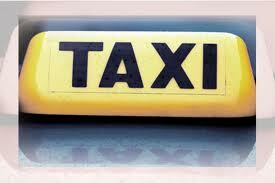 Many taxi drivers depended on this for their pensions, with a licence yielding IR£ 60,000- 80,000 (about €75-100,000). Now, Dublin has a de-regulated taxi system and has more taxi’s than New York (see here for a taxi-eye view). The price structure is also heavily regulated, and a common price structure applies to all fares throughout Ireland. And, of course, a taxi licence is nowadays worth very little. Why and I writing about taxis you might ask? Well, while on holiday near Leipzig (Germany) over the Christmas period, I read an article in a local paper (Doeblener Allgemeine Zeitung, Dec 27, p.7) about how a taxi firm is dealing with rising costs. The taxi sector in Leipzig is de-regulated too as far as I know, and competition is strong. The article interviewed a manager from a local taxi firm, 4884. Rising fuel prices seem to be a major problem for the firm – and indeed for Dublin taxis too. However, as I read on I realised that Dublin and Leipzig taxi firms/owners, while having a lot in common (over/high supply, rising costs, relatively declining static/declining market), the Leipzig firm 4884 seemed to adapt well to become attract and keep customers. For example, in June 2011, 4884 launched an app to order taxis (using GPS). They also (according to the Dec. article) regularly train and annually update their drivers on things like customer service skills – it is even written into the drivers’ contracts. In Dublin too, there is at least one taxi app I am aware of (Irish Taxi), but I am not sure it is as advanced in terms of GPS. London too has a GPS service available for ordering a taxi. 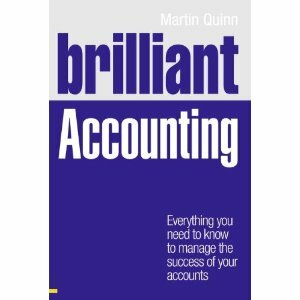 So what’s the management accounting point? Well, if we compare the market for taxis now to compared to the past (in most countries, but certainly Ireland), there is a far greater supply (volume). The cost structure is typically beyond the control of all taxis. Most costs are fixed – radio rental, advertising, taxi licence fee, insurance – with fuel being the main variable cost. With more taxis in supply, a static market, fixed prices and little ability to control costs, then the ability to earn a profit is likely to be more difficult now. So what can be done by taxi owners/firms to sustain profit. Most have joined forces to create firms/co-ops, which can share some costs (e.g. central booking). Other options are to increase customer retention through things like apps and improved customer service. At the end of the day, with so many costs beyond their control, taxi drivers/firms can only but be adaptive to stay in business. If they are not, they can (and do) go out of business.